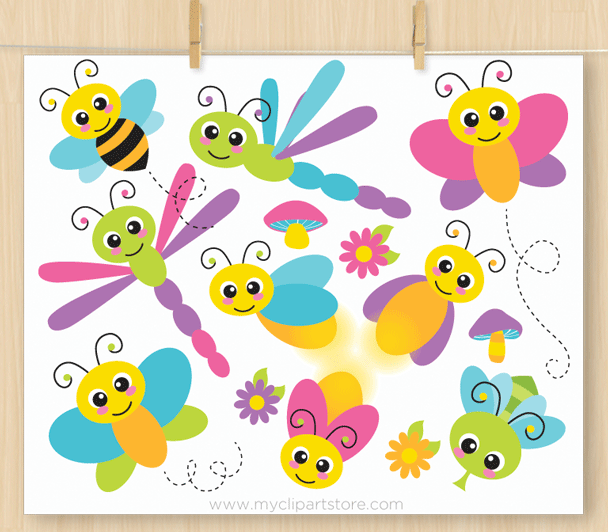 Flying Bugs Vector Clipart with cute Insects, bumble bees, dragonflies, mosquitos, firefly, butterfly, mosquito, dragonfly, kawaii, flowers, mushrooms. 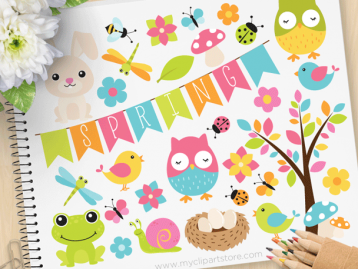 This clipart is perfect for printed paper crafts, such as: scrapbooking, sticker sheets, card making, gift tags, cake toppers, party invitations, classroom decorations as well as lesson plans. You can also use this for: Jewelry making, magnets, web design, business cards, T-shirt design and vinyl decals. These elements are also very easy to use in digitized appliqué or embroidery designs. 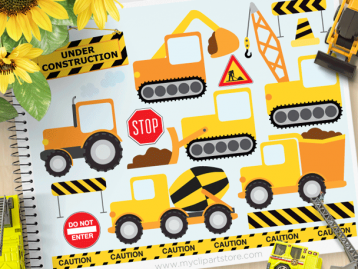 If you like this clip art pack, please leave us a ★★★★★ rating. A huge thank you in advance! Adorable graphics. Easy to use files. Thank you! 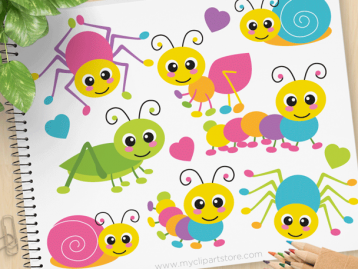 Flying Bugs premium vector clipart for personal and commercial use. Personal & Commercial Use OK ✓ with credit given to the Author Don't want to credit the Author? Add the Commercial Use License. 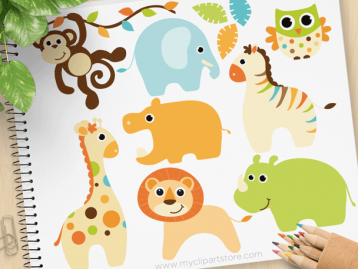 Shop online at MyClipArtStore, for premium design assets such as: vector clipart, illustrations, patterns and graphics. Artwork especially designed for commercial use / small businesses owners and creatives, like you! Imagine. Create. Inspire. Copyright © 2017 My Clipart Store. Original artwork designed by Linda Murray | All Rights Reserved.